Margate RNLI has issued a warning after two fisherman had to be rescued from the water at Walpole Bay last night (May 27) in a multi-agency operation. Two Margate lifeboats were involved in the rescue operation after the alarm was raised just after 9.30pm. Emergency services were alerted to a number of people in difficulties on the end of the rocks at Walpole Bay, Cliftonville. Margate’s RNLI inshore lifeboat was tasked and joined other emergency services, including the coastguard rescue helicopter from Lydd Airport, coastguard rescue teams from Margate and Herne Bay, Kent Fire and Rescue Service (KFRS), South East Coast Ambulance Service (SECAMS) and Kent Police. The lifeboat made contact with members of KFRS who found two fishermen who were in difficulties in the water at the end of the rocks. 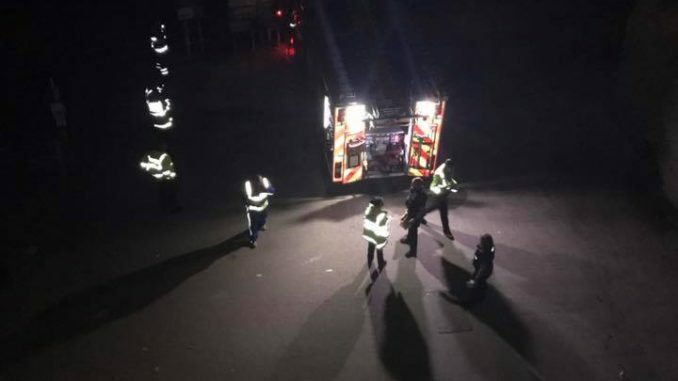 The casualties were taken on board the lifeboat and quickly transferred back to the lifeboat launching site where they were met by lifeboat crew and handed into the care of paramedics from SECAMBS. Peter Barker Margate, lifeboat volunteer press officer, said: “It was suggested these two persons may have been ‘crabbing’ on the edge of the rocks in the dark. “The rocks on Thanet’s coastline include deep gullies which can be treacherous and difficult to see when wading through shallow water, especially in the dark.